I found these colors at my local retail store and fell in love with them. I had to make something with them. Cornmeal and Green Tea Leaf by Red Heart yarn. 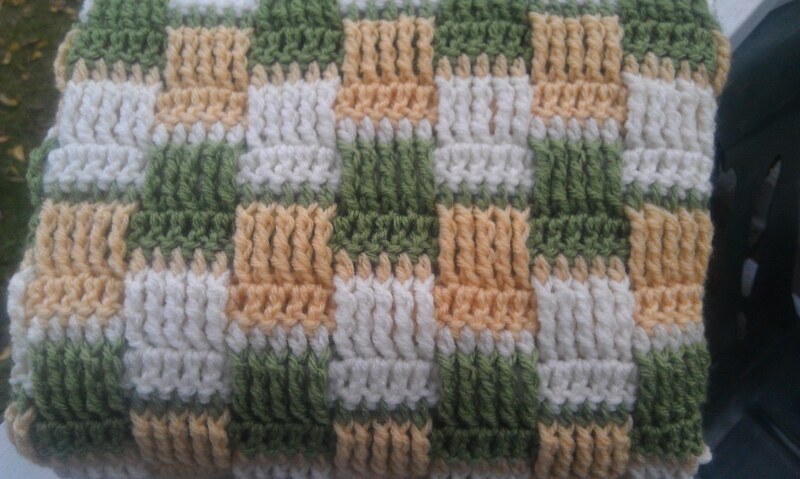 It's a Basketweave crochet stitch variation. A new twist on an old favorite! Easy and quick to make too! Tossed in a white for contrast! You can choose to start with any color of your choice, just alternate out when the instructions say to do so! YO, pull through two loops on hook 2x more. Stitch made. 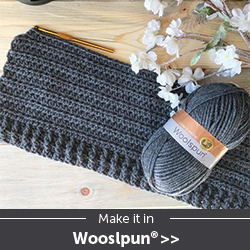 You are going to repeat rows 3-6 until the blanket reaches desired length. 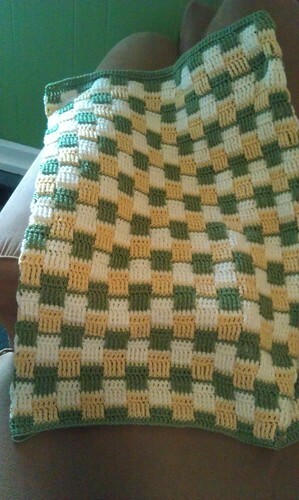 Can' wait to make a start on this lovely baby blanket. Just had my second great grand child (a girl) so pink, white, and mint comes to mind. Thank you for sharing. I can't wait to begin this project. Your colors are beautiful. I always get really awesome patterns on Missed Stitches Crochet. 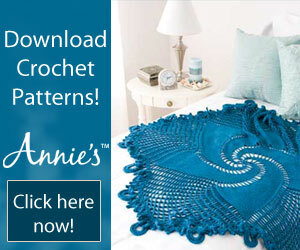 Very nice pattern, BUT what type of yarn was used and how much yardage? I definitely want to make this. 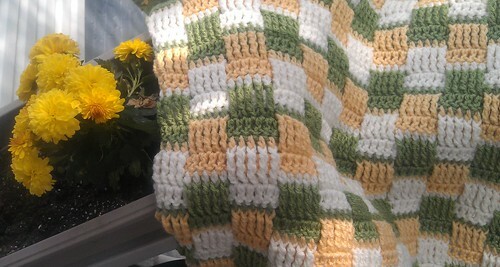 All of my blankets use the most common yarn for crocheting- 4-ply worsted weight. For this one, I used Red Heart Super Saver. ABout 1 skein of each color.